Douglas fir is a common wood choice for exterior projects such as doors and decking. The wood can degrade over time due to exposure to weather, temperature changes and the sun. Sealing Douglas fir for exterior use protects the wood from the elements and makes it more durable. You can also use a combination stain and sealer if you want to alter the color of the wood. Douglas fir absorbs stain easily. Sand the surface of the wood smooth with 180 grit sandpaper. Follow the grain of the wood when sanding. Wipe the dust off with a tack cloth. Apply a thin coat of a water-based latex exterior wood sealer to the Douglas fir with a nylon paintbrush. Follow the grain of the wood and use long, even, overlapping strokes. Do not apply the sealer when the temperatures are below 50 degrees Fahrenheit. Let the sealer dry according to the package directions. 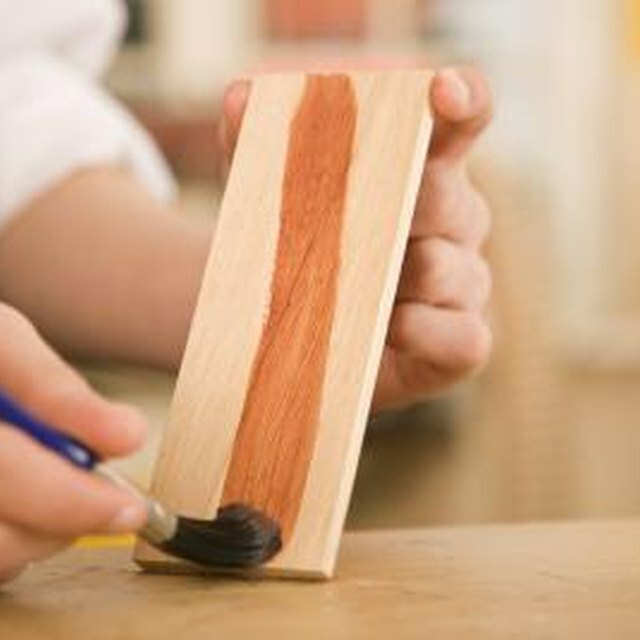 You can apply an additional coat if the sealer contains a stain and you want a darker finish. Let the sealer dry completely before using the wood.